If you are ready for a fancy dress competition then you can act like an animal. 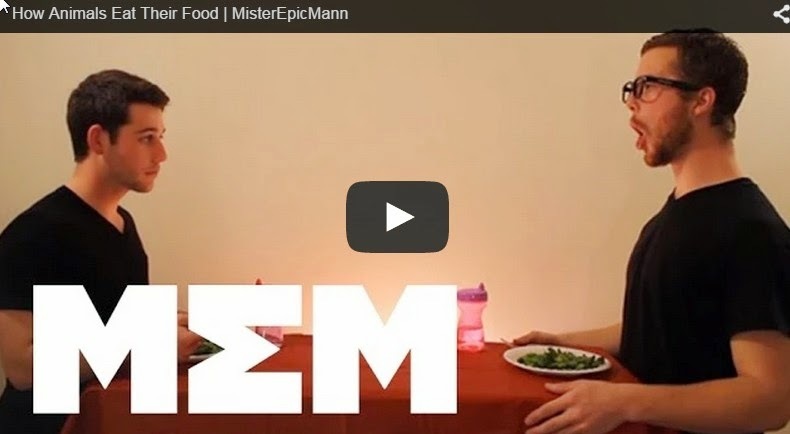 In video this guy makes comedy out of horrible eating ways by animals. Starting from cow to prehistoric animals like tyrannosaurus rex he made a lot of fun. He is doing fun through alligator, lizard, whale, and kangaroo. While eating like whale he completely broke the table. This video gives an idea that fun is always there. We must make it and share our experiences with others. Live your life to enjoy every small moment with us. In our civilised social life, we must add irrationality for pleasure, fun and happiness.